If you are hiding your smile due to dental imperfections, you may benefit from the attractive, minimally-invasive option of porcelain veneers. At Dental Associates of Marlborough, Dr. Sanjiv Nehra recommends these discreet, yet durable, restorations for their ability to emulate natural dentition while providing long-lasting results. Veneers offer the advantage of cosmetically improving your dental condition, while also conserving a great deal of the healthy, existing structure of your teeth. As a result, Dr. Sanjiv Nehra may recommend veneers as an alternative to crowns when moderate treatment is more appropriate to achieve desired results. In particular, porcelain has unique properties that make it ideal for use as veneers. Porcelain can endure normal dental function, even when thin pieces are used. Additionally, a variety of genuine shades and shapes can be reproduced with porcelain veneers. At our Marlborough dental office, we have noticed that a number of common defects to our patients’ smiles can be corrected with porcelain veneers, ultimately improving the entire smile. 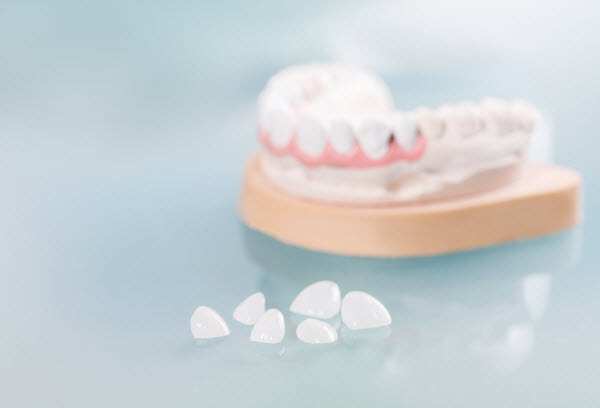 In keeping with Dental Associates of Marlborough’s goal to preserve the oral health of our patients, the process of getting porcelain veneers is uncomplicated and does not significantly impact underlying dental health and composition. To accommodate for the additional thickness of a veneer, your teeth will be moderately prepared prior to placement. An impression, or mold, of your teeth is also taken so that your veneers are fabricated to the specific dimensions of your smile. At this time, Dr. Nehra will work with you to decide on the right color for your veneers. After the procedure, you will receive care instructions, including recommendations for your daily brushing and flossing routine. Regular follow-up visits with Dr. Nehra are also recommended to enhance the longevity of your porcelain veneers. At these visits to our Marlborough dental practice, your restorations can be assessed for replacement due to normal wear. If you are ready to learn how porcelain veneers can add brilliance to your smile, contact our Marlborough, MA office today to schedule a consultation visit.